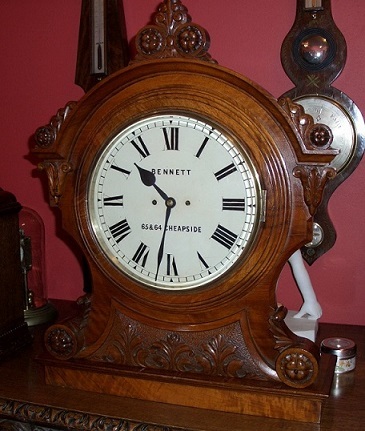 Exceptionally fine boardroom/bracket clock by Sir John Bennett (FRAS). Substantial carved mahogany case. 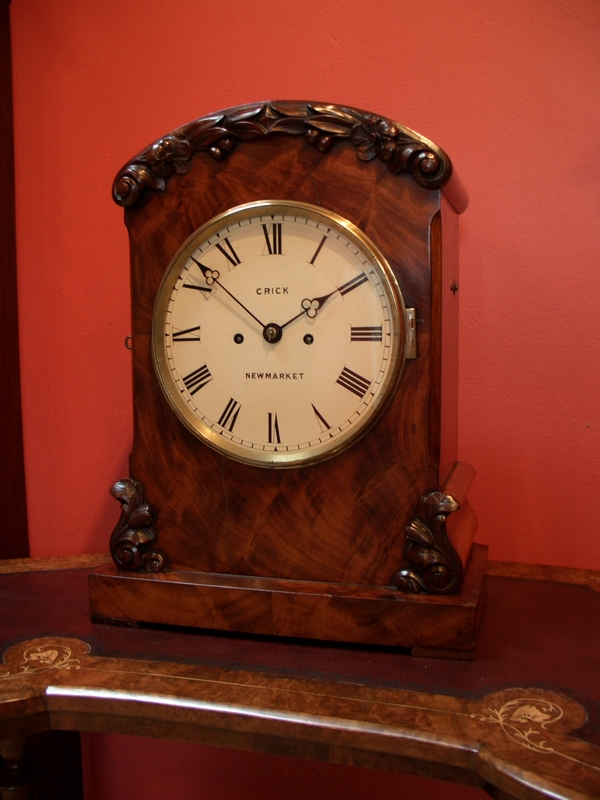 12″ painted dial with Roman numerals and silvered spade hands. 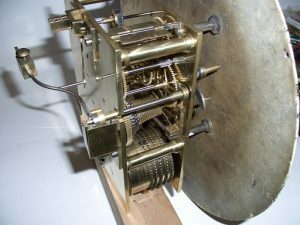 Twin chain fusee movement. 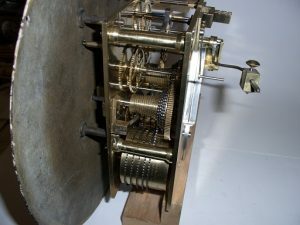 John Bennett worked in Cheapside in London from the mid. 1860’s. Fully restored with a years guarantee.